Crossword Book Award introduced the Lifetime Achievement Award in 2016, which was conferred upon the stalwart, Ruskin Bond, by Gulzar. In 2017, Sudha Murty was conferred the award by leading cardiac surgeon Dr Ramakanta Panda. In a recognition long overdue, the Crossword Book Award announced on Saturday that its jury has unanimously nominated Shashi Tharoor, who is at the peak of his literary career and is easily among the most read and debated authors in contemporary India, for the Lifetime achievement award in view of his stellar contribution to literature. Crossword, in the past, has also awarded stalwarts such as Salman Rushdie, Vikram Seth, Amitav Ghosh and Kiran Desai, raising the bar for its esteem and reverence. "Through his expressive writing, Dr Shashi Tharoor has explored the diversity of culture in India. Notably, he has produced both works of fiction and nonfiction. He's also one of the most recognised writers from india, among the global diaspora, holding his own against the best. His contributions to making 'Indian writing in English', a global force is acknowledged by all," said Maulik Desai, Head Crossword Bookstores. Tharoor is a bestselling author of 18 books and has a proven track record of producing literary works, both in fiction and nonfiction, that have lasting relevance. But his literary ventures began long before the publication of "Reasons of State" as Tharoor's extraordinary talent and the ability of toying with words found utterance at a relatively younger age. His first publication, a short story, came at the age of 10 in Bharat Jyoti, a Sunday supplement in Free Press Journal. While he was still at school, the writer-in-making had already been accustomed to seeing his name in print as his contributions in the form of short stories and essays appeared in leading Indian newspapers and magazines. "The Great Indian Novel", published in 1988, was perhaps Tharoor's formal introduction to the literary world and there has been no looking back ever since. Along the way came several books, some successful, others not so much, but the writer found a new lease of life after his foray into politics. 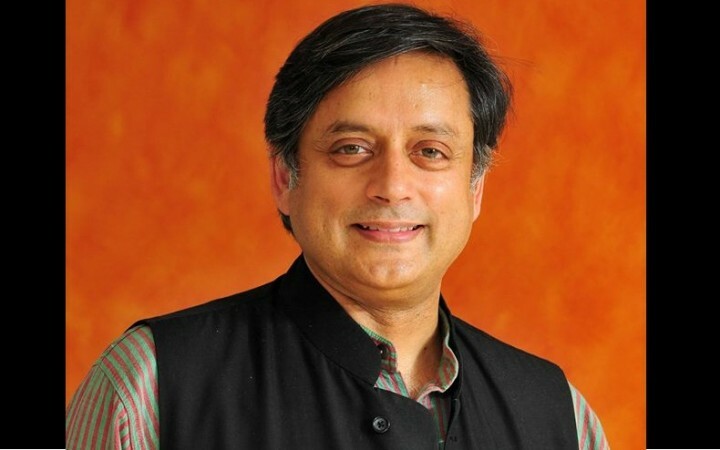 His three current books, "An Era of Darkness", "Why I Am A Hindu" and "The Paradoxical Prime Minister" -- all works of nonfiction -- have reached to thousands of new readers and as writer, Tharoor is at the peak of his popularity, enjoyed by few, and writers of all people, in contemporary India. At the same time, his writings bear testimony to the fact that Tharoor has been consistent in his views. The criticism that he unleashes on communal politics or his angst against an authoritarian form of governance aren't something new that the writer preaches owing to his political compulsions. A keen reading of his books reveals that his disillusionment with such forces aren't new but a sustained and matured view that have been formed as an outcome of his experiences. Tharoor said he was looking forward to receiving the Lifetime Achievement Award later this month. "I see this as an acknowledgement of more than five decades of published writing and eighteen books. I have always seen my writing, both fiction and non-fiction, as a contribution to the national conversation about the ideas and issues that matter in the unending struggle to define India's soul. That contribution continues," the 62-year-old said in a statement. But even as Tharoor will be awarded the Lifetime achievement award, he only seems to be writing faster than ever before in recent times. He relishes being in the public eye and is a regular face at almost every leading literary event. He enjoys engaging with his readers and it is always a delight to hear the man wax eloquently on his books. This award, therefore, is a recognition of the hard-earned literary profile that he has built over the last five decades and his readers are looking forward to reading more from him.